The Baader 2" SC Diamond Steeltrack Focuser enables Schmidt Cassegrains to deliver ultra-smooth focusing with zero image shift. Fits Schmidt Cassegrains from 5" to 14" aperture. The included adapters fit both the SCT 2" thread used on 8" and smaller Meade/Celestron telescopes, and the 3.28" thread used on larger Celestron SCTs. 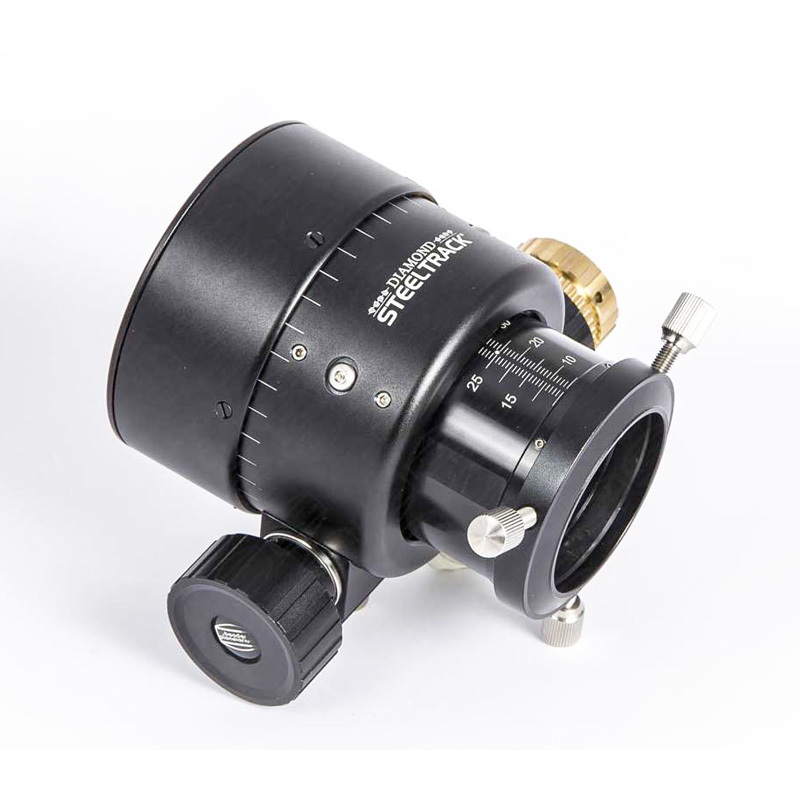 This focuser should also fit most 12" and 14" Meade SCTs, although this cannot be guaranteed as Meade uses a slightly smaller 3.25" diameter thread on these larger telescopes. Optional low-profile (1mm) 2"/1.25" Pushfix reducer adapter. Overall Maximum Width (excluding focus knobs) of 96mm. Weighs 2lb-2.1oz (966g) in 2" SCT mode and 2lb-5.3oz (1057g) in 3.25"/3.28" SCT mode. I purchased this for use on my C8. I find the operation of it very smooth, but ran into a big issue on my 40+ year old C8 in that the old scopes have an issue with the thread depth and I can't install it as it should be on my scope. I did get it on enough to verify it works great and will keep it for when I get a upgraded SCT in the future. Review by ls of USA.